Money manager Alphonse Fletcher Jr has lived in the famed Upper West Side apartment building, The Dakota, since 1992.And after having his application to buy a second apartment in the building turned down, he’s filing a suit against the Dakota board because he thinks the rejection is because of racial discrimination, Dealbook reports. 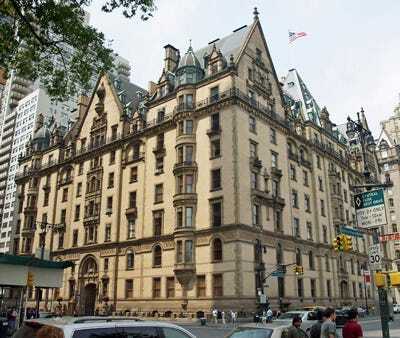 The Dakota has been home to Leonard Bernstein, Lauren Bacall and John Lennon in its time, and the board even turned down the likes of Billy Joel and Cher when they tried to get into the condo. Dakota says it hasn’t reviewed Fletcher’s lawsuit yet but that his application was rejected because of the financial materials he provided:Any accusations of racial discrimination are untrue and outrageous. 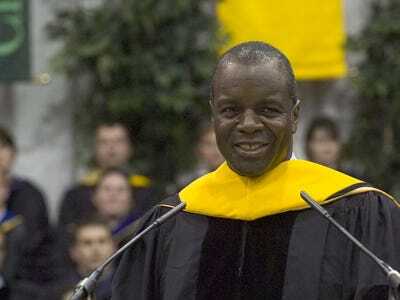 Mr. Fletcher is a longtime resident of the Dakota and served several terms on its board, recently as its president. The Dakota board is confident in the soundness of its decision. But Fletcher claims the board is guilty of ethnic slurs against prospective residents, “including describing one couple as part of the “Jewish mafia” and suggesting that a Hispanic applicant was interested in a first-floor apartment so that he could “more easily buy drugs on the street.” As It turns out, the latter was Anotonio Banderas, who applied to live in a condo with Melanie Griffiths. As for Fletcher, this isn’t the first time he’s filed a lawsuit. After a stint trading at Bear Stearns, he landed a gig at Kidder Peabody & Company and sued them because he says they paid him only half of the $5 million to $6.5 million in compensation he was owed. NYSDHi ex, Hobart.His nickname is Buddy. He’s a Harvard grad (and so are his two brothers, one of whom won an Oscar last year for the “Precious” screenplay). He also went to Yale. He launched his own firm, Fletcher Asset Management where his speciality is “dividend-related stock arbitrage” (apparently his flagship hedge fund has generated an average net return of 8% a year since ’97). In ’94 he donated $4.5 million to Harvard to endow the Alphonse Fletcher Sr. Professorship, a position held by Henry Louis Gates Jr. In ’04, to commemorate the 50th anniversary of Brown v. Board of Education, he pledged $50 million to institutions and individuals working to improve race relations. AIBuddy’s wife Ellen.He once had an office in a luxury townhouse at 22 East 67th, which in 2004 was sold to Phil Falcone to live in. He’s married to a partner at venture capital firm Kleiner Perkins Caufield & Byers, Ellen Pao.